A review of Developing Powers: Modernization, Economic Development, and Governance in Cold War Afghanistan, by Timothy Nunan. When Hakim Taniwal was murdered in Paktia, Afghanistan in 2006, he was the highest-ranking post-Taliban official to be killed by insurgent forces. 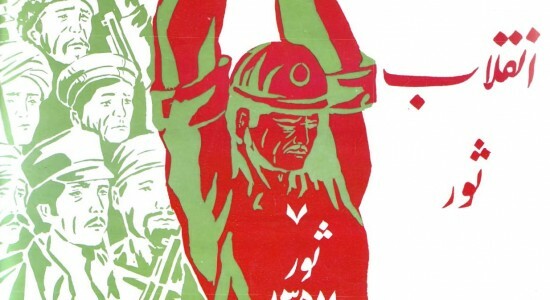 The symbolism was obvious at the time, as Taniwal was the face of the “new” Afghanistan. Son of a village elder, he had studied in Germany and worked as a professor at Kabul University before leaving Afghanistan in 1979, giving him, in the words of the New York Times, “both a practical and scholarly understanding of the people he had been sent to govern.” Appointed governor of the Paktia province in 2002, he was a “sociologist sent to humble a warlord, a gentle, bespectacled professor dispatched into Afghanistan’s badlands on what seemed a fool’s errand.” Taniwal’s subsequent success in creating a viable government in Paktia “made for a heartening parable about the power of words over weapons,” Taniwal’s Times obituary explained, “but the flaw in the hopeful tale was its setting. Afghanistan is a place resistant to happy endings” (Barry Bearak, “The Lives They Lived; ‘So We Will Talk.” New York Times. December 31, 2006). Timothy Nunan’s Developing Powers: Modernization, Economic Development, and Governance in Cold War Afghanistan explores the world that gave birth (and death) to Governor Taniwal. The dissertation opens with a denunciation of the spirit underpinning the governor’s New York Times obituary. The trope that Afghanistan is a brutish place; a graveyard of good men (and imperial ambition) is intellectually bankrupt, Nunan argues, “because it ascribes a ‘genetic’ coherence to the history of Afghanistan that obscures the ‘epigenetic’ (i.e. contextual) reasons why Afghanistan descended into brutal wars of attrition at certain times, but not at others” (p. iii). In articulating his new history of modern Afghanistan, Nunan begins with a useful reminder: few countries received more aid and advice from the international community during the late twentieth century. Taniwal’s homeland was a laboratory of modernity during the Cold War, flooded by foreign technocrats and central to the transnational conversation about how governments and economies should behave after decolonization. The paradox of the outcome is inescapable: by the 1990s Afghanistan was among the poorest places on earth. Nunan’s organizing question is refreshingly unexpected in prompting scholarly as well as political introspection: how could a country that received so much from the world’s preeminent social scientists come to epitomize the term “failed state”? Developing Powers dismantles much of what we think we know about Afghanistan. Nunan’s boldest argument is about the Soviet Union: it is wrong to date Afghanistan’s ills to 1979. The Soviet war in Afghanistan is better understood as the capstone in a fifty-year tale about modernization in Central Asia. In substantiating this claim, Nunan offers a version of Afghan history that rarely appears in today’s newspapers. We learn, for instance, that West German agronomists remade Paktia in the 1970s by implementing an afforestation program there. This project sought to enrich the natural landscape while consolidating Kabul’s control over the province’s once vibrant lumber market, yet it triggered a potent backlash among locals who felt with good reason that these German interlopers were undermining the province’s political and economic autonomy (pp. 155-173). Hakim Taniwal does not appear in Nunan’s retelling of this episode, but we might infer that the professor’s education and occupation—he conducted fieldwork in Paktia on behalf of Kabul during the years of this initiative—made his later, gubernatorial self a product of this history. Nunan’s research is impressive. Although current events have foreclosed the possibility of travel to Afghanistan, Developing Powers draws on material from an eclectic set of archives, and its footnotes declare the dissertation’s strength in synthesizing diverse sources. Nunan has utilized scholarship in several languages, interviewed people in Tajikistan, Uzbekistan, Russia, and Germany, and burrowed into archives in Moscow, Koblenz, and Omaha, among other locales. The results speak for themselves. Nunan consistently gives a voice to the people living in Afghanistan. Whether explicating the way in which local elites played Nazi Germany against Great Britain before World War II, or illustrating how Afghans used Soviet money to advance their own regional goals, Nunan keeps both our narrative and analytical attention on the meeting point between local ambition and foreign hubris. On the one hand, the breadth and variety of his research allow him to make global comparisons to comparable development programs and how they looked on the ground. On the other hand, Nunan has a knack for reading “along the archival grain” (see Ann Laura Stoler, Along the Archival Grain: Epistemic Anxieties and Colonial Common Sense. Princeton: Princeton University Press, 2009). For instance, when explaining the aforementioned afforestation efforts in Paktia, he takes time to reflect on the ambiguities of German memory. Although few technocrats felt it important at the time (or since), their project was modeled on an Israeli program that used large-scale tree planting to wrench land from Palestinians and consolidate Tel Aviv’s power vis-à-vis local people. It is an eco-political coincidence with self-evident implications. Scholars of development and decolonization have told variations of his story before, but Nunan’s analysis is energetic, original, and relevant, and Developing Powers strikes an appealing balance between the detailed excavation of new sources and a nuanced interpretation of their meaning. It will not take long for Nunan to find a publisher for the manuscript emerging from this dissertation. It is tempting to put Developing Powers alongside recent books by Rodric Braithwaite, Artemy Kalinovsky, and Sergey Radchenko, all of which approach Soviet-Afghan relations through an international lens (Rodric Braithwaite, Afgantsy: The Russians in Afghanistan, 1979-1989. Oxford: Oxford University Press, 2011; Artemy Kalinovsky, A Long Goodbye: The Soviet Withdrawal from Afghanistan. Cambridge, MA: Harvard University Press, 2011; Sergey Radchenko, Unwanted Visionaries: The Soviet Failure in Asia at the End of the Cold War. Oxford: Oxford University Press, 2014). But Nunan is more dexterous than these peers. He is not using new archives to rewrite Soviet diplomatic history, nor is he interested exclusively in telling a tale about Russian imperialism and its discontents. His dissertation is a global history of Afghan state-making, which invites Soviet and non-Soviet historians to rethink the politics of development in the latter half of the twentieth century. Nunan’s care in unfurling this story gestures towards yet another major strength of the dissertation: the way in which it conceptualizes its audience. At first glance, Developing Powers is about the former Soviet Union. Chapter 1 is a history of Soviet social sciences, and lingers productively on the way that official Moscow came to define the Middle East. Within this debate, Afghanistan shaped Soviet ideas about tribalism and sovereignty, and Nunan’s talent in elucidating Soviet orientology frames his second chapter about the period after 1947, when Indian independence inaugurated a genuinely global contest to define the terms of Afghan statehood. This “development moment” ended in 1978-1979, and Nunan’s final two chapters walk a careful line, explaining Moscow’s invasion as an outgrowth of earlier Soviet frustrations in Afghanistan and throughout the Third World, while showing how this costly military occupation of its neighbor affected assumptions about economic production and gender equality in the Soviet Union itself. As promised, the project’s central strength is contextualization. Instead of giving readers yet another lament about modernization theory’s rigidity, Nunan takes the time to explore Afghan tax collection, trade, and land use before Kabul’s experiments in state-making during the Cold War. The resulting portrait is multidimensional, as Nunan reveals how new policies disrupted old practices even as he avoids clichés about Afghanistan’s pre-imperial authenticity. He is more interested in explaining how local people got money than in litigating the obvious vagaries of the superpower contest. No less importantly, Developing Powers contextualizes Moscow’s infamous intervention within a longer history of Soviet development thought alongside the West’s own misadventures in Afghanistan. This approach successfully recovers the contemporary sincerity of Soviet actions and puts the unique challenges of socialist state-making into sharp relief. Nunan’s Afghanistan emerges not as a tragic place, but as part of a deeply believable political region in perpetual motion. Developing Powers should garner the attention of scholars of Russia, Central Asia, and international affairs. Nunan’s is a history of an idea and a debate, and the dissertation moves so comfortably between discussions of gender, diplomacy, and bureaucracy that it is easy to overlook the novelty of its approach: few studies have offered a more original take on statehood during the Cold War. If Developing Powers is the new face of modern global history, the future is bright. And yet, one suspects that Taniwal is but the tip of an iceberg, and Nunan has the opportunity to make his story relevant to today’s policy thinkers. Then there is development itself. Nunan is not the first student of politics to interrogate this oddly ubiquitous idea, but his interest in governance—and his willingness to forego well-trod complaints about Afghan dams and heavy industry—breathes life into this genre even as it inadvertently prompts a counter-factual question: was a moment of promise lost? Although we have been conditioned to see such queries as naïve, Nunan’s careful comparative reading of Afghanistan upturns easy cynicism. His eye for granularity makes the pessimism of contemporary critics feel as overdrawn as the optimism of yesteryear’s modernizers, raising, albeit indirectly, the riddle: beyond humility, what does this story teach liberals now? German Federal Archives. Koblenz, Germany. Arthur Paul Afghanistan Collection. University of Nebraska at Omaha. Robert R. Nathan Papers. Cornell University. University of Oxford. 2013. 323 pp. Primary Advisors: Alexander Morrison and Catriona Kelly. Image: “Long live the April Revolution!” This 1980 poster showcases the socialist obsession with workers and production as the key actor in any Leftist project. From Āfghānistān Āmruz (Afghanistan Today). Kabul: Bihqti Press, 1981.